It came sooner than expected but that it was going to happen was never in doubt. 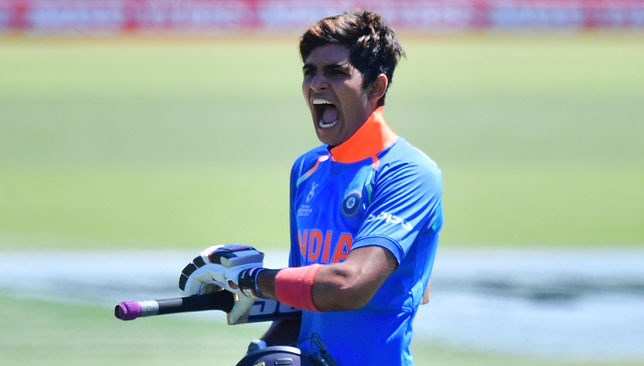 Young batsman Shubman Gill jumped the queue to be selected for the Indian teams for the ODI and T20 series in New Zealand later in the month, and it was a moment many India fans had been waiting for. While Gill’s selection has come in unfortunate circumstances for India cricket following the suspensions of KL Rahul and Hardik Pandya for their comments during an ill-planned TV appearance, it is a thoroughly deserved one. The 19-year-old Punjab batsman is one of the most exciting young talents in the country; it takes a lot for a world champion like Yuvraj Singh to say he has finally found an India youngster who he wants to watch bat. Many of Gill’s more established team-mates and seniors have been saying for some time that he is ready for international cricket. And that too of the toughest kind. “Shubman is comfortable both opening the innings as well as playing in the middle-order. He was phenomenal as an opener for India A in New Zealand. We have discussed with Rahul (Dravid, India ‘A’ coach)… Shubman is ready for international cricket,” chief selector MSK Prasad said. So excited for #ShubmanGill. Have always said that he's much more impressive than Prithvi Shaw. This may just end up as being a tour where he only ferries drinks, but it's a matter of time before he's making runs at the highest level. Within the space of 12 months, Gill has gone from playing in the U19 World Cup in New Zealand, finishing as the player of the tournament with 372 runs from five games, translating that form to domestic cricket by plundering 790 runs at an average of nearly 100 and finally breaking into the Indian team. The Indian team has some gaping holes in the middle order with MS Dhoni not looking like the finisher/enforcer he once was and both Ambati Rayudu and Dinesh Karthik looking incapable of winning the World Cup in England later this year. It makes Gill’s expedited progress interesting because there is every chance of the youngster finding himself on the plane to the World Cup, should he have a fine run of scores in the remaining 12 50-over games for India before the World Cup commences; provided he plays most of them. His precise footwork and ability to play all types of bowling to all sides of the ground make Gill as complete a batsman as a teenager can be. And like most gifted batsmen, he has that extra time to play his shots. Also, Gill’s selection completes the trifecta of India’s batting future. Gill is the solid top/middle order option India hope will hold the team together in Tests and ODIs given his supremely refined technique and adaptability. At the top of the order, Shaw has already shown that he has it in him to take on greater challenges in all conditions, be it red or white-ball cricket. And lower down, India have Rishabh Pant who has made the cricketing world take notice of his fearless batting and energy on the field. How and when all three batsmen come together in both formats remains to be seen but chances are that Pant and, probably, Gill make it to the 2019 World Cup squads. Later in the year when the new Test Championship begins, one can expect Shaw, Gill and Pant to shore up India’s top, middle and lower order. All three players represent the future of Indian batting – fearless and technically sound. And Gill is the most endearing member of the troika. The thing is, he is just 19. 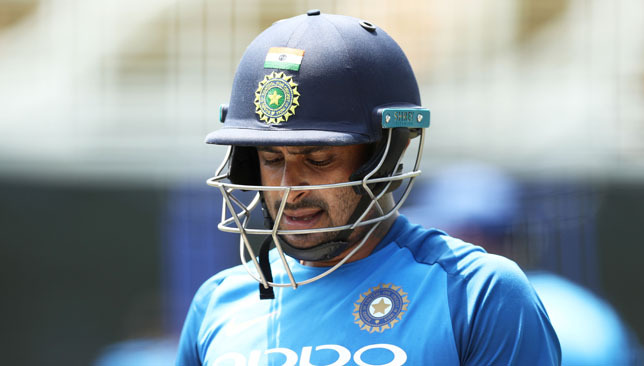 India batsman Ambati Rayudu was reported for a suspect bowling action after delivering two overs in the first ODI against Australia in Sydney. The International Cricket Council announced that the part-time spinner’s action was reported by match officials. “Rayudu’s bowling action will now be scrutinised further under the ICC process relating to suspected illegal bowling actions,” the ICC said in a statement. The 33-year-old’s action will be tested within 14 days, but he is allowed to bowl until the results are announced. Rayudu gave away 13 runs runs in his two overs in the Sydney ODI which India lost by 34 runs. As soon as Rayudu started bowling, questions were raised about the legality of his action with former India spinner Bishan Bedi among the first to do so on Twitter. India batting sensation Shubman Gill said he is elated to go back the country where his rise to stardom began as he was selected for the ODI and T20 teams for the tour of New Zealand later this month. Gill was selected as a replacement for the suspended KL Rahul for India’s ongoing tour Down Under. He first burst onto the scene during the Under-19 World Cup in New Zealand in 2018 where he was the player of the tournament after scoring 372 runs in five games. He was part of the India ‘A’ team that toured New Zealand last month and also had a stellar first-class season for his state Punjab, scoring 790 runs in 10 innings at an average of just under 100. He is now set to be a part of the Indian team for white ball fixtures in New Zealand. “It is a big advantage (to be picked for New Zealand tour). I played well there in the U-19 World Cup and now again I have got the opportunity,” Gill was quoted as saying by the Press Trust of India. If the news that Shubman Gill is selected for India is true; it’s an excellent move. He is a special talent and it is prudent that he jumps the long queue of excellent young batsmen while he is in good form. Gill and his U19 team-mate Prithvi Shaw are seen as the future of India’s batting. While Shaw has already made an impact after his Test debut against the West Indies last year, Gill is all set to make his mark in white-ball cricket. And given the paucity of in-form middle-order batsmen in the ODI team, Gill might end up making the cut for the 2019 World Cup in England if he performs. “The call was unexpected but I understand the circumstances in which I have been picked. I have a set target in mind. I have done well at all levels I have played in so far and that has given me the belief that I can also excel in international cricket,” said Gill.